For the period ending December 22, 2017 ... New DVD and Blu-ray selections added to the DVD & Blu-ray Release Report's database. The Coen Brothers — Joel and Ethan — are gifted filmmakers, auteurs in the best sense. Their direction is usually spot-on and their scripts are clever and well-written … Fargo, The Big Lebowski, No Country for Old Men (and more, take your pick, it is a long list). With Suburbicon, which is heading home courtesy of Paramount Home Media as both DVD and Blu-ray/DVD Combo Pack offerings on Feb. 13, you got a clever — weirdly clever — script (which had been written and revised over a period of 20 years), but they didn’t direct, as their compatriot, George Clooney, handled that duty. First, the business side of the equation … the ARR works out to 102 days and ticket sales for the film’s late October theatrical run (just a little over 2,000 screens) came in light at just $5.8 million. With Matt Damon and Julianne Moore in starring roles, plus the Coen Brothers as the scriptwriters, the home entertainment launch by Paramount Home Media should generate a good deal of interest … especially among those who couldn’t fit in a trip to the local multiplex during the limited two-week theatrical run that Suburbicon had nationally during the last week of October and the first week of November. There’s more than one way to look at Suburbicon: It’s either a very black comedy, wrapped in a delicious murder mystery, or a social commentary. When you consider that the original script’s timeline came right after the Coen Brothers delivered Blood Simple, the focus by Clooney could have been solely on those elements (think: Blood Simple married with Gary Ross’ 1998 film release of Pleasantville). The entire black segregation/block-busting side story might have been better left on the cutting room floor (or made as a separate film altogether). As to bonus goodies, Clooney provides commentary and he is joined by actor/writer-turned-producer Grant Heslov — Heslov and Clooney teamed for the Best Picture nominee, Good Luck, and Good Night in 2005 … Clooney and Heslov, along with Ben Affleck, captured the Oscar for Best Picture for their film production of Argo in 2013, and the Heslov/Clooney combination have been involved in eight films together, including Money Monster, The Monuments Men and The Ides of March. 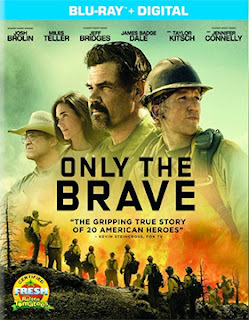 As the lights were turned off and the doors were locked up for the Christmas Holiday celebration Mill Creek Entertainment teased the price-the-collection consumer market place with Blu-ray news that seems too good to be true. So here it is — and this is just the first title in what is sure to be another wave of new product offerings — on Mar. 6 Mill Creek Entertainment will be releasing the three-disc, nine-film Blu-ray collection titled 9 Lives Movie Collection, which carries a suggested retail price point of just $24.98. 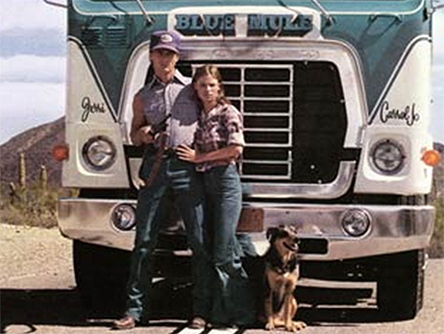 Do the math, that’s $2.78 per film on Blu-ray … and that’s before discounts at retail. Nine films! You read that right! So what is included in this terrific set of action films? How about, for starters, Arnold Schwarzegger starring in director John McTiernan summer of 1993 blockbuster, Last Action Hero!! 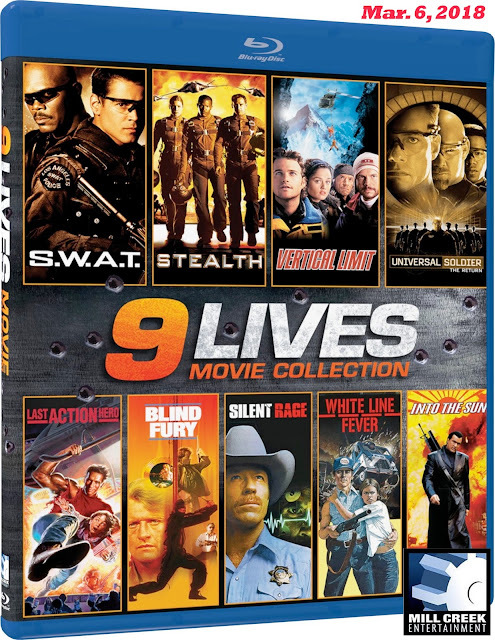 That’s just the first of nine … the collection also includes Universal Soldier: The Return (1999, Jean-Claude Van Damme), S.W.A.T. (2003, with Samuel L. Jackson, Colin Farrell, Michelle Rodriguez, LL Cool J and Jeremy Renner) and director Martin Campbell’s Christmas-season of 2000 film release of Vertical Limit, starring Chris O’Donnell, Robin Tunney, Bill Paxton and Scott Glenn. Those four films alone — Last Action Hero, Universal Soldier: The Return, S.W.A.T. and Vertical Limit — if purchased on Blu-ray separately, would easily set you back $24.98. 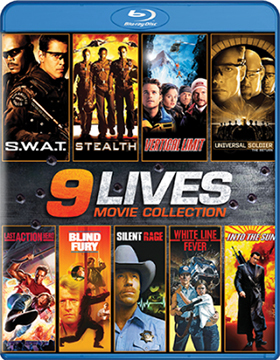 But Mill Creek Entertainment has packed five more hit films into the collection, which makes this a must-own for adrenaline junkies in particular and film fans in general. So what else is included here? How about Jan-Michael Vincent and Kay Lenz in writer/director Jonathan Kaplan’s 1975 action smash, White Line Fever; Steven Segal stars in the 2005 thriller, Into The Sun; Chuck Norris battles an unstoppable evil in director Michael Miller’s 1982 chiller, Silent Rage; Jamie Foxx stars in Stealth and we round out the 9 Lives Movie Collection with Rutger Hauer in Phillip Noyce’s action thriller, Blind Fury. WOW! And that’s just the first selection in the Mar. 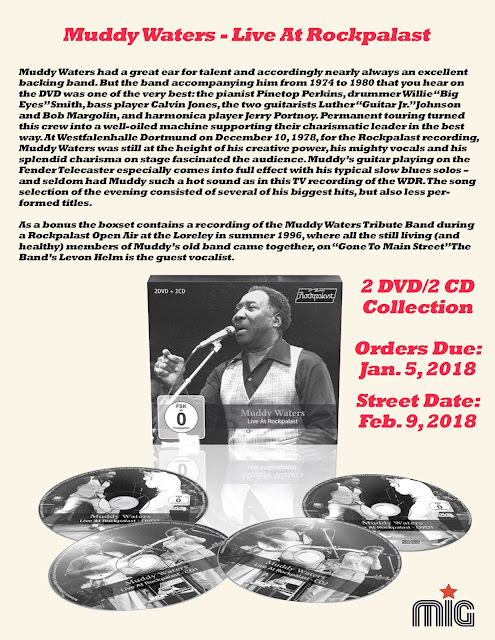 6 parade of DVD and Blu-ray hits. Stay tuned for the full announcement! Arrow Video, with domestic sales and distribution expertise provided by MVD Entertainment Group, has a new 4K restoration of director Frank Henenlotter’s iconic 1982 (ish) horror film, Basket Case, ready for distribution on Feb. 27 as a limited edition Blu-ray release. 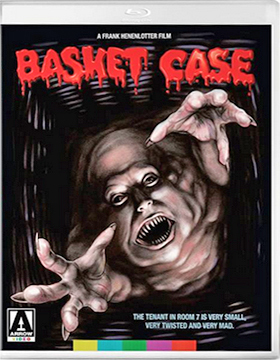 This Blu-ray edition from Arrow Video comes packed with bonus goodies that will have genre fans salivating. 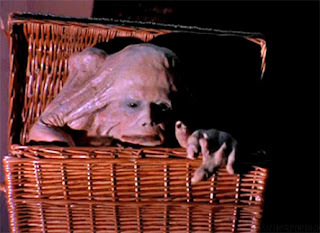 Leading the list is a new commentary presentation featuring writer/director Frank Henenlotter, who is joined by actor Kevin Van Hentenryck (Duane … the twin who carries the murderous Belial around in the basket) and the two are also featured in the video session titled “Basket Case 3-1/2,” in which filmmaker Frank Henenlotter interviews “Duane” in character. There are also featurettes titled “Seeing Double: The Basket Case Twins” (featuring “nurse” twins Florence and Maryellen Schultz), “Blood, BASKET and Beyond” and “Belial Goes to the Drive-In,” plus a new making-of featurette. Yes, circle Feb. 27 on your release calendar … if you are a genre-fan this is one upgrade that you will be adding to your DVD and Blu-ray film library. John Ashley and Eddie Romero, an unlikely, but winning film producing combination, will be the focus of VCI Entertinment’s Feb. 13 Blu-ray/DVD Combo Pack release of their 1972 horror hit, The Twilight People. 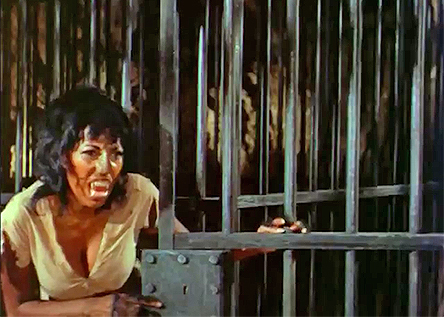 A 2K restoration from the original 35mm negative (in widescreen) is planned. Ashley was a handsome “teen” film star — you know, those 20 and 30-year olds starring as delinquents and beach “kids.” He appeared in most of the Frankie Avalon and Annette Funicello Beach Party films, plus such drive-in classics as Dragstrip Girl, Motorcycle Gang, High School Caesar, Hell on Wheels … do you see a pattern there? By the time he appeared in Hell on Wheels he was 34-years old!!! And then a funny thing happened, he got an offer to appear in a film being shot in the Philippines. His marriage to Deborah Walley was on the rocks, so a “vacation” in the Philippines, as the story has it, was a welcomed break … little did he know that this little side trip was a career changer. The producer/director of the film that Ashley had signed on for was none other than Eddie Remero, a prolific Filipino filmmaker, who hadn’t quite cracked the lucrative U.S. market in a meaningful way with his films. That was about to change. The two hit it off with Brides of Blood and with Ashley’s long-standing connections with AIP alumni Roger Corman and James H. Nicholson, he soon found himself in the role of producer (and star) in a series of films with Romero that all became commercial hits … in the United States! 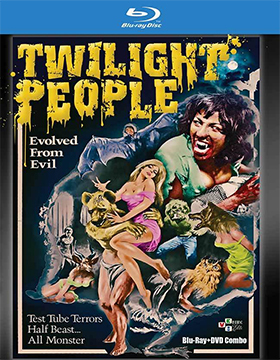 Counted among these were Beast of the Yellow Night, The Big Doll House (a production credit in association with Roger Corman), Black Mama White Mama (Ashley as producer), Beyond Atlantis and the VCI Entertainment’s Blu-ray/DVD Combo Pack release on Feb. 13 of The Twilight People. Pam Grier also stars in The Twilight People (the Panther Woman, Ayesa), who was also working in the Philippines at the time — The Big Doll House and Black Mama White Mama. 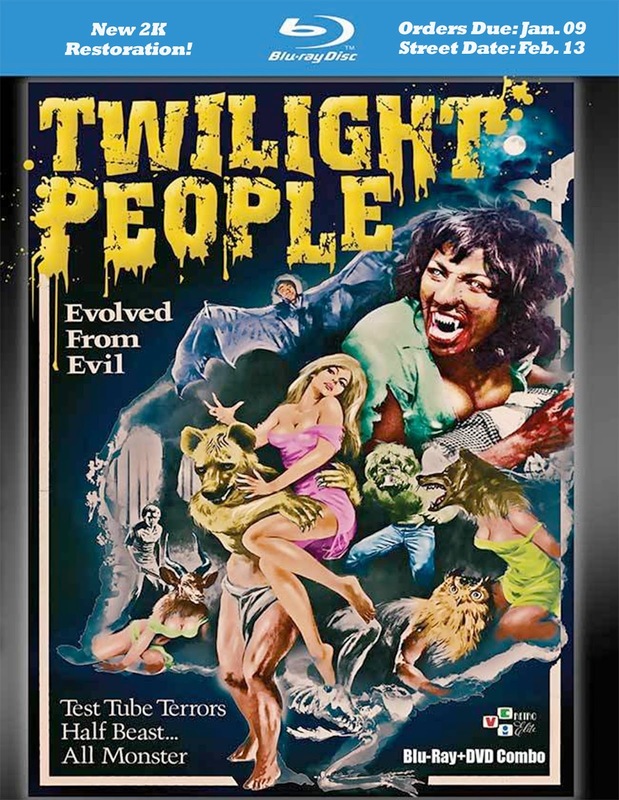 Needless to say, The Twilight People was a drive-in hit in 1972 and John Ashley’s career as a film (and TV) producer was off and running. Bonus goodies lined up by VCI Entertainment include a video session with filmmaker Eddie Romero and a commentary track with film historian Toby Roan (author of “A Million Feet of Film: The Making of One-Eyed Jacks”). 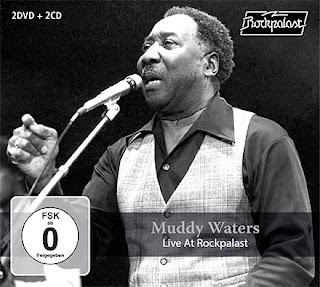 Six-time Grammy-winner, Muddy Waters, will be the focus of attention on Friday, Feb. 9, when MIG Music and MVD Entertainment Group team up for the double-disc DVD/double-disc CD Combo Release of the legendary 1978 concert at Dortmund, Germany … Muddy Waters: Live at Rockpalast. As a bonus, MIG Music is also including the summer of 1996 “reunion” concert at Loreley (St. Goarshausen, Germany), which showcased a 14 song set that included the likes of “Clouds In My Heart,” “Everything Gonna Be Alright,” “Hard Hard Way” and “Mannish Boy” (which was also the featured at the Dortmund concert 18 years earlier). The accompanying CDs are audio versions of the two aforementioned concerts. 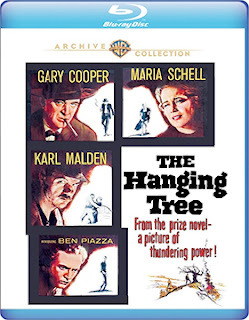 Over the Christmas holiday period Warner Bros. Home Entertainment revealed that director Delmer Daves’ 1959 Western classic, The Hanging Tree, will be available as a Blu-ray release on Jan. 23. The film stars Gary Cooper, Karl Malden, Ben Piazza, Maria Schell and George C. Scott and was originally released to the home entertainment marketplace in 2012 by Warner Bros. on DVD. The Hanging Tree was nominated for the Oscar for Best Song, “The Hanging Tree” (performed by Marty Robbins), but it lost out to “High Hopes” (Frank Sinatra) from director Frank Capra’s film adaptation of the Arnold Schulman stage play, A Hole in the Head. Sony Pictures Home Entertainment announced this past week that a new 4K restoration (from the original camera negative) of Jim Henson and Frank Oz’s Christmas of 1982 fantasy adventure, The Dark Crystal, will be available as both 4K Ultra HD/Blu-ray Combo Pack and Blu-ray product offerings on Mar. 6. 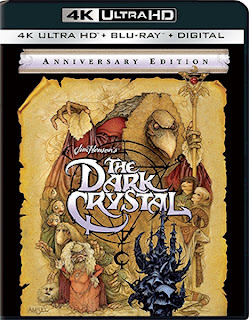 Additional bonus goodies include a “Picture-in-Picture Storyboard Track,” the 1983 feature-length documentary titled The World of The Dark Crystal, photo galleries and more. Also added to the home entertainment release calendar this past week from Sony Pictures Home Entertainment is director Joseph Kosinski’s story of the Granite Mountain Hotshots, Only the Brave, and the fatal Yarnell Hill Fire (Arizona) of June of 2013 that claimed 19 of the 20 member team. The ARR is 109 days and domestic ticket sales generated from the film’s mid-October theatrical run were $18.1 million. Both DVD and Blu-ray editions will be available.